The Lakeland Terrier originated from the harsh terrain of the lakes district in England. This breed was used to hunt down aggressive foxes that would harm the local farmer’s sheep. Aside from killing these pesky foxes, the Lakeland Terrier also excelled at hunting badgers, rabbits, and rats that would dominate this rugged land. The first registered Lakeland Terrier in the United States was in 1934. During this time, the hard-working terrier started making frequent appearances in the show ring both in America as well as in their homeland. They had an iconic appearance that was loved by many, while still showcasing a fierce work ethic. These dogs are known to be cheerful, feisty, and intelligent. They’re quite curious by nature and will take any opportunity to investigate any unfamiliar people or situations. When it comes to strangers, they tend to be reserved and skeptical, however, they would never act out in hostility or aggression. Supporting their bold personalities is a confidence that is unlike any other breed. As long as the Lakeland Terrier gets to be outdoors and has an activity to do, they will be the happiest pup around. All in all, the Lakeland Terrier is a devoted and loving companion that is great for an active family. While the Lakeland Terrier is an intelligent breed without a doubt, that doesn’t mean they are easy to train. Their independent qualities get the best of them at times, and if they are not properly trained, they will act however they please. That’s why it’s imperative that this breed gets training from an early age. Along with puppy training school, they should be socialized with different people, experiences, and animals as soon on as possible. This will help to teach them how to properly behave on an everyday basis. Although an energetic breed, the Lakeland Terrier does not need hours of exercise on a daily basis. This breed should get at least a 30-minute walk every day to stay happy and healthy. They also love to outdoors so try to find activities that allows this breed to explore their surroundings. The average lifespan of the Lakeland Terrier is between 12 to 16 years. Even though the Lakeland Terrier has been a recognized breed by the AKC since 1934, they have gained little popularity ever since. Today they are ranked as the 145th most popular dog out of 202 registered breeds. 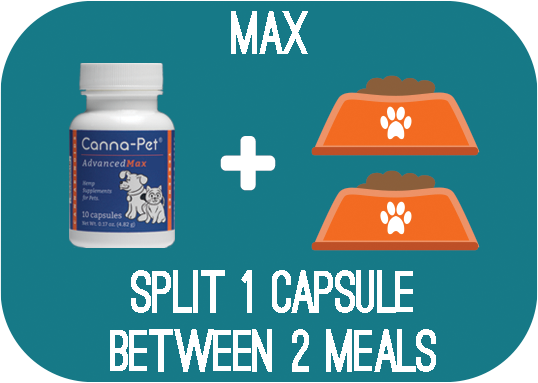 The Lakeland Terrier should consume one cup of high-quality food a day, split into two separate meals. When choosing the right dog food for your pup, make sure it is filled with all-natural and nutritious ingredients. Try to stay clear from foods that contain byproducts, fillers, and preservatives. If your Lakeland Terrier is competing, then he should have a very distinct cut that is unique to the Lakeland Terrier breed. For normal household pets, make sure your dog’s coat gets stripped when necessary, which helps to rid any dead or loose hairs that may be stuck in the undercoat. Make sure to also brush your pup’s coat on a daily basis to keep it clean and healthy. Aside from this breeds regular coat grooming, the Lakeland Terrier should have their teeth brushed once a week and their nails trimmed when needed. Are Lakeland Terriers Good with Kids? The energy level of the Lakeland Terrier pairs perfectly with children. However, it’s important to note that kids should be old enough to know how to properly interact with their pet. Once the child understands the basic guidelines for treating their furry friend, then they can have a safe and loving relationship with one another under the same roof. Legg-Calve-Perthes disease: This condition causes a disintegration of the hip joint. Symptoms include lameness, pain, and inflammation. Lens luxation: This eye condition occurs when the lens capsule separates from the zonules, causing a complete dislocation of the lens. Cataracts: Another eye condition that affects Lakeland Terriers is Cataracts. This occurs when the lens of the eye turns opaque and foggy, which restricts light from entering, causing a loss of vision. In severe cases, cataracts in dogs may lead to blindness and can only be fixed through corrective surgery.